The information presented on this page was originally released on April 23, 2013. It may not be outdated, but please search our site for more current information. If you plan to quote or reference this information in a publication, please check with the Extension specialist or author before proceeding. VERONA – A round garden plot divided by fences into sections showed about 750 students in north Mississippi what it takes to make pizza. 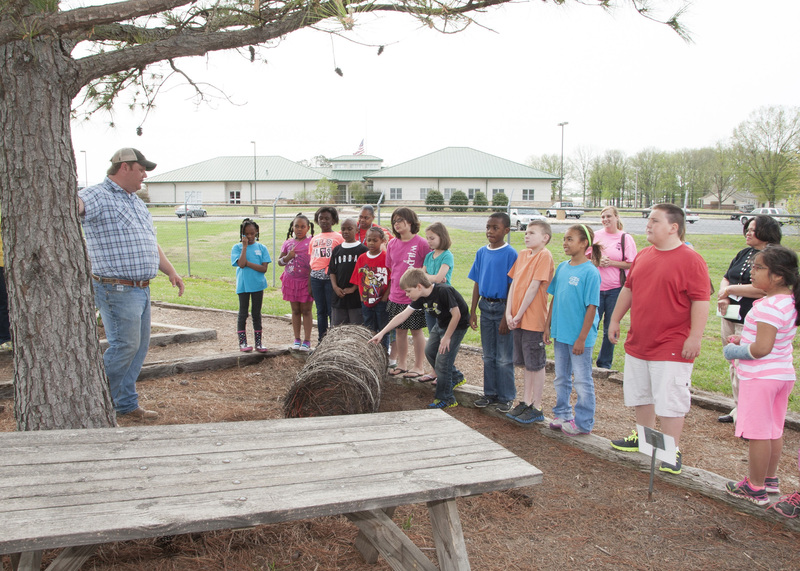 The Pizza Farm at Mississippi State University’s North Mississippi Research and Extension Center is open each April for school groups to tour. The garden in Verona is divided into eight sections -- or slices -- showing pizza ingredients in their natural, growing state. Slices had wheat, canola, herbs, a pine tree, two pigs, a beef cow, a dairy cow and her calf, and tomatoes and peppers. “What does a pine tree have to do with pizza? Do you put pine needles in your pizza?” Michael Pruitt, Benton County Extension agriculture and natural resources agent, asked a group of third-graders. Pruitt explained how pine trees become pizza boxes after the bark is stripped, the wood is shredded and chipped, and the pulp is made into paper. 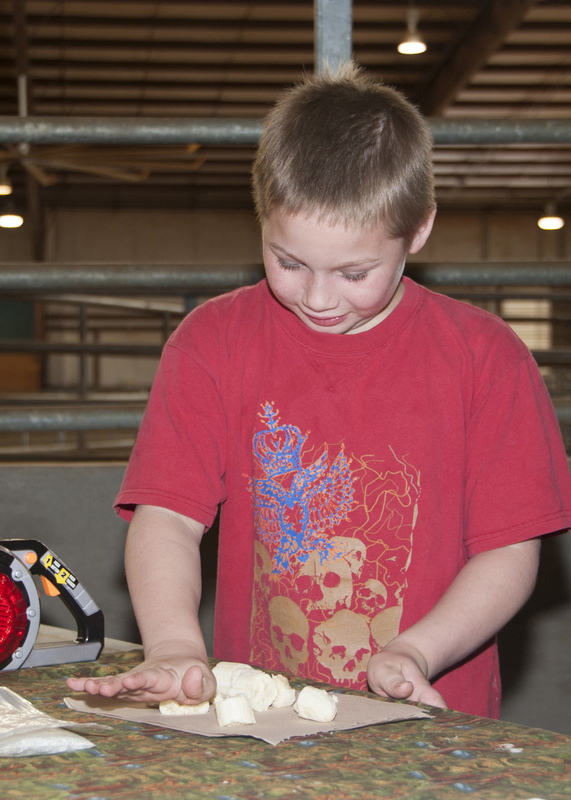 Students not only get a visual, but they also can stoop down and touch the growing wheat, examine the herbs, pet the cow and her calf, and try to rub the pigs. Riley Mann, a 9-year-old third-grader at Marietta Elementary in Prentiss County, said he learned that every year, each farmer raises enough food for 155 people. 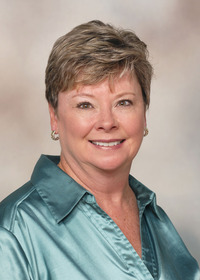 Sherry Smith, Lee County Extension agent, has organized the Pizza Farm for 18 years. The activities have been carefully coordinated to complement the core competencies studied in school. The Extension Services invites schools in the 30-county area served by the North Mississippi Research and Extension Center to send classes for the day. As many as 250 students a day can tour the Pizza Farm, and tours are scheduled for one week each April. “Extension agents from this area have been trained to do this program, and they come in each day to present their part of the Pizza Farm to the students,” Smith said. Paula Threadgill, Extension associate director, said the Pizza Farm combines all the parts of Extension Service in the one educational activity for young people.